It's not often that a mathematics textbook is described as "gorgeous" or "a work of practical art." But An Illustrated Theory of Numbers by Martin Weissman, associate professor of mathematics at UC Santa Cruz, is no ordinary textbook. 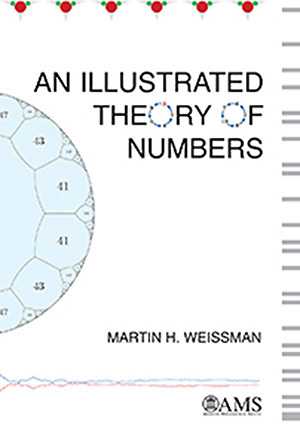 Weissman said his interest in design and information visualization inspired him to produce a "super-illustrated" book on number theory, a topic he has taught for many years. The new book, published by the American Mathematical Society, has about 500 illustrations in it and was carefully designed, with particular attention to the page layout. "It was an interesting exercise," Weissman said. "Pedagogically it's good, because the illustrations help with the explanations, and students get to see lots of examples. The visual element also forced me, as a writer, to find more accessible proofs, more satisfying explanations for why all these things are true. Number theory is an ancient field of mathematics, with origins in Euclid's Elements, written around 300 BCE. Describing number theory in the book's preface, Weissman writes, "The problems in this book are about numbers and their relations to each other. These sorts of questions were interesting for mystical reasons in the ancient Greek world, for astronomical reasons to Indian mathematicians, for reasons of agriculture and government to ancient Chinese mathematicians. Today they are important to anyone who wants to understand data security." Every time we check our email, Weissman explained, "your computer and the server are doing a complicated dance involving 300-digit prime numbers. Their properties are crucial to data security on a daily basis." Yet he emphasizes the aesthetics of number theory over its utility. "This book is not a particularly useful book," Weissman writes in the preface. "But it might change the way you think about numbers, and you might see something beautiful that very few people have seen before." In developing the book, Weissman said, he was influenced by Edward Tufte, a Yale statistician and graphic design theorist known for his books and courses on visual presentation of information. The book's design and illustrations clearly made a big impression on reviewers. One praised it for "a visual and literary flair which very few math books even strive for, let alone accomplish," while another called it "a textbook like none other I know; and not just a textbook, but a work of practical art." In addition to the illustrations, the book is notable for the historical notes that accompany each chapter. Weissman said he sought to provide a scholarly historical narrative, referring to primary sources and including mathematicians outside the Western tradition. In the 2018 PROSE Awards, the publishing industry's top awards for professional and scholarly works, An Illustrated Theory of Numbers earned Honorable Mention in the Mathematics category. Weissman's research involves number theory, representation theory, and geometry. 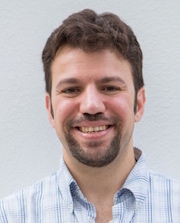 He joined the UCSC faculty in 2006.